Egypt’s Morsi trial, now adjourned to 2014, may be a case of ‘judge and rule’. Most definitely, it is a case of ‘trial and error’. Neither the trial nor the errors of judgment to shadow it can be expected to bode well for democratic reconstruction. Moreover, like all measures taken to dismiss the fledgling democratisation under the behest of the ousted and now imprisoned president, the trial will widen the rift in an Egypt already deeply divided in the middle for and against Morsi, and for and against his military captors. Now that the Muslim Brotherhood’s (MB) top leadership is behind bars, the army, the media and the ‘tamarrod’ (rebellion) movement that endorse the Supreme Council of the Armed Forces (SCAF), cede to the judiciary to tighten the noose on forces, voices and discourses whose re-imagining of community blurs the boundaries between the religious and the political. The judiciary, as it were, is now called upon to make the case for de-legalising the army’s and its political allies’ morbid nemesis, the MB. The appeal against the MB ban was incidentally lost in court today. The appeal had sought to halt the implementation of the 23rd September ruling affecting the Islamist movement, its NGO, and any affiliated groups. It may be a case, partly, of sweet revenge. The very judiciary that Morsi sought to purge from Mubarak appointees will relish every minute of having Morsi appear before it to defend himself against serious accusations that carry heavy penalties including execution. Like, the fourteen co-defendants from the MB and one Salafi leader, Morsi faces charges of incitement to murder protesters outside Cairo’s presidential palace when he was still in office. Morsi will have to answer additional charges part of an inquiry into his escape from jail during the 2011 uprising against his predecessor, Hosni Mubarak (who is now more or less free). What is critical in these charges regards alleged conspiracy, during the prison break, with Hamas. Morsi’s defiance during his brief and chaotic court appearance and his refusal to enter a plea sum up the multi-layered nature of the miasma gripping Egypt since the July 3 coup. This episode in the fluid and divisive state of political play, the judiciary and the MB are pitted against one another. 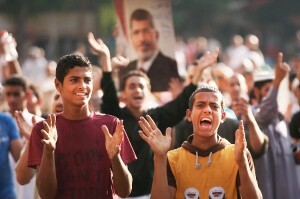 Morsi and the judges reciprocated contempt of each other’s powers. As president, Morsi went for the judiciary’s jugular veins. His attempt to dismiss Abdel Maguid Mahmoud, the Attorney General, won him no friends amongst the judiciary and challenged his own authority. His own Attorney General, Talaat Ibrahim, had a tough time in that post, which he occupied only briefly. It is no secret that Egypt’s Supreme Constitutional Court (SCC) opposed many of Morsi’s reforms and laws and the court at some stage in 2012 referred to the possibility of impeaching him for alleged violation of his oath by undermining the country’s constitution. This was in response to Morsi’s decrees, which he defended in the name of safeguarding Egypt’s revolutionary future. The judiciary opposed Morsi’s decree that no laws passed by him from the time of his inauguration until a new parliament is elected can be rescinded by any authority. The SCC worked to undermine the new establishment presided over by Morsi and the MB. This included its judgement, based on technicalities, that the country’s first freely elected Parliament was unconstitutional. It did not spare the Shura Council from a similar fate. And it overturned convictions against former regime stalwarts. The MB is in the docks, and the MB-affiliated president facing an uncertain future. The picture right now for the MB is grim: it is the one dis-established. By contrast, courtesy of SCAF, the judges have the SCC’s head, Adly Mansour, serving as the country’s interim president. It is, however, premature to write off the MB. The legal surrounding milieu helps neither the MB nor Morsi. The forces arrayed against them, including a measurable segment of Egypt’s divided politicised public, do not bode well for fairness in the trial, which will not be concluded swiftly or agreeably. 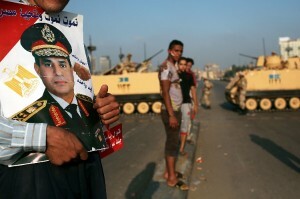 Morsi’s trial will not be a case of black-and white legalism. The laws, their interpreters, executors, in a highly charged and contested polity in which the army calls the shots, do not favour Morsi. Nor do the charges themselves qualify as impartial. Moreover, there is no legal logic in charges, of incitement to kill protesters, which if applied equally, might point the finger to the ousted president’s accusers as well. The irony of the Morsi trial is that the accusers might draw as much attention to their motivations, accusations, and misuse of the law not only in Egypt, but also in a global civil society that has grown addicted to Egypt’s politics as the dialectics of revolution and counter-revolution keep on unfurling. For now, the prospect of democracy is pushed back whilst two set of reductive projects seem to clash as they project politics through inflexible sets of ‘normativeness’ of power to be mediated either by Godly or military guardianship.